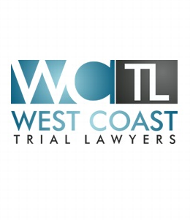 West Coast Trial Lawyers - At West Coast Trial Lawyers, we believe that everyone is entitled to justice. We represent clients from all walks of life who have been victimized by unlawful or unsafe conduct. If only wealthy corporations and insurance companies are able to hire the best and brightest lawyers, the system of justice would fall apart. By holding wrongdoers responsible for the dangerous conduct, we ensure justice for our clients and make the world a safer place for everyone. Because we believe so strongly in our clients and their cases, we work on a contingency fee basis. You pay no attorney fees until we settle or win your case. At The Car Accident Lawyer, Attorney Daniel Kim's goal is to help bring justice to those who have been harmed by the wrongdoing of others. Power Legal Group, P. C.
Power Legal Group is a Los Angeles personal injury law firm offering aggressive representation combined with personalized service.